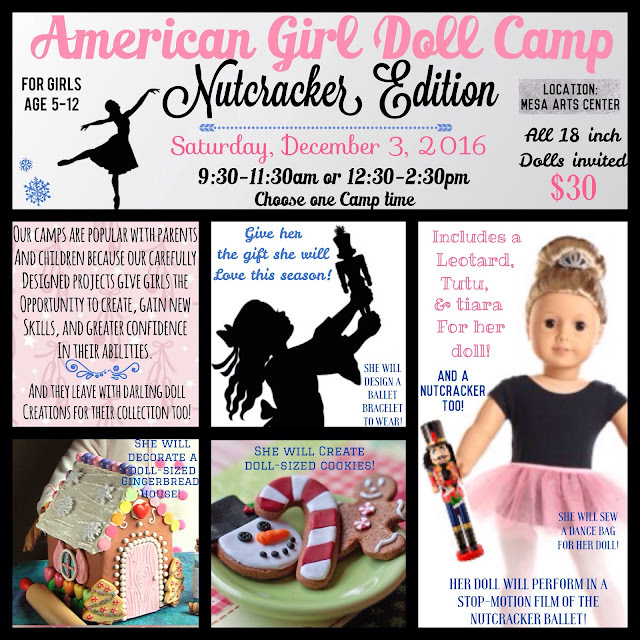 Maker Camps Missouri: Nutcracker American Girl Doll Maker Camp Announced! Nutcracker American Girl Doll Maker Camp Announced! The Christmas season is so magical and we have the perfect Maker Camp prepared for the girls and their dolls! 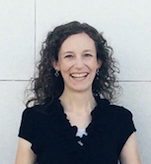 We’re excited to announce our Nutcracker Maker Camp! This Camp is for girls ages 5-12 and their dolls. All 18” dolls are invited! This Camp will be held at the Mesa Arts Center. Give her the gift she will LOVE this season! Your daughter will receive a leotard, tutu, and tiara for her doll to dress up in. (We will have a variety of colors available for the girls to choose from) The girls attending are welcome to dress up in dance clothes too if they want to. Your daughter also will receive her own little doll-sized Nutcracker! If you have friends that love the Nutcracker too, be sure to share this Camp with them! Sew a dance bag for her doll! Her doll will perform in a stop-motion film of the Nutcracker Ballet! Create her own ballet bracelet to wear! Receive a leotard, tutu, tiara, and Nutcracker for her doll! Our Camps—especially our Holiday Camps—fill fast! It is even more fun when you come with a friend! Share this Camp with a friend that would have fun joining you! Our maker-style Camps are popular with parents and children because our carefully designed projects give girls the opportunity to create, gain new skills, and develop greater confidence in their abilities—All while having fun and creating darling doll items for their collection too! We hope you can join us for this fun Nutcracker Maker Camp!